Andy Bossie, Portland, Maine, is the Executive Director for Friends of Katahdin Woods and Waters. For over 15 years, Andrew Bossie has worked in the community-focused social justice sector on efforts that include reducing LGBT discrimination, increasing access to healthcare, promoting higher education affordability, ensuring elections and government truly of, by, and for everyday people, and promoting economic, recreational, and conservation opportunities in northern Maine. Andrew’s upbringing was greatly impacted by the community and public institutions of rural Maine and he has focused his career on ensuring everyday people understand and use their collective power to shape the better tomorrow we all hope for and deserve. 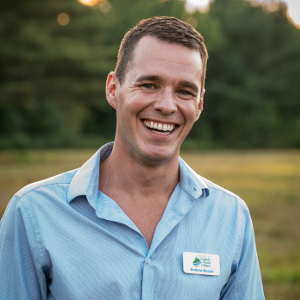 Andrew has served in leadership roles at Opportunity Maine, the Maine AIDS Alliance, and Maine Citizens for Clean Elections. Outside of work, Andy enjoys running and canoeing, and has recently picked up cross-country skiing after a recent trip to Haskell Hut. He splits his time between Portland and the Katahdin region. 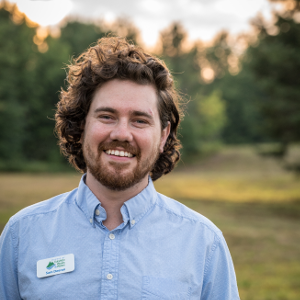 Sam Deeran, Portland, Maine, is the Deputy Director for Friends of Katahdin Woods and Waters. He first got to know the Maine woods as a toddler riding in his mother’s backpack through the mountains of the Rangeley region. One of his first jobs was at Birch Rock Camp, where he taught ecology and led hiking and canoeing trips throughout Maine. After graduating from Colby College, Sam spent a winter exploring the mountains of Colorado and two years in the concrete jungle of Chicago. In the summer of 2015, he came back East to campaign through the 2016 election. In his spare time, Sam works with wood, sails and paddles Maine’s waters, and forages in the forests of the Rangeley and Katahdin regions. 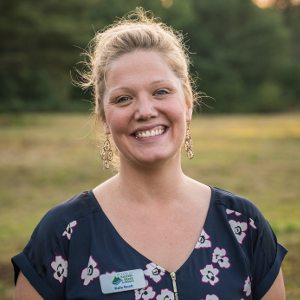 Kala Rush, Sherman, Maine, is the Education Coordinator for Friends of Katahdin Woods and Waters. Kala’s love for the outdoors and education began during her work as a Youth Crew Leader for the Montana Conservation Corps and continued while creating educational and volunteer opportunities as an AmeriCorps VISTA at the United Way of Greater Portland. She started her degree in Communications at the University of Montana and finished at the University of Southern Maine, which led to a teaching role in Northern Maine. Teaching in rural schools helped her realize that almost every opportunity can be an educational opportunity and is passionate about finding, facilitating, and sharing place-based learning experiences. Kala loves exploring with her family, hiking, gardening, and antiquing. 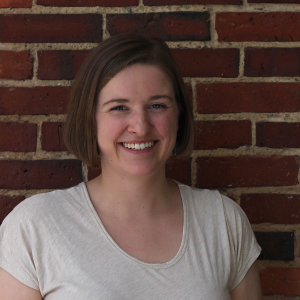 Meghan Cooper, Portland, Maine, is the Membership Coordinator for Friends of Katahdin Woods and Waters. Growing up in mid-coast Maine, she learned from an early age to appreciate the woods and waters throughout the state and the opportunities for outdoor recreation and learning they provide. Though educational opportunities took Meghan out of state to Vassar College and, soon after, to Azerbaijan, Maine always held a special place in her heart. Before long, she returned to begin a career focused on strengthening Maine’s rural communities. She recently worked as an Island Institute Fellow with the Millinocket Memorial Library and Development Program Coordinator with Our Katahdin. Through this work, Meghan grew to know and love the Katahdin Region, devoting herself to supporting opportunities that help others discover Maine’s unique assets. In her free time, Meghan enjoys baking, improving her sewing skills, and adventuring in the outdoors with her dog, Annabelle.